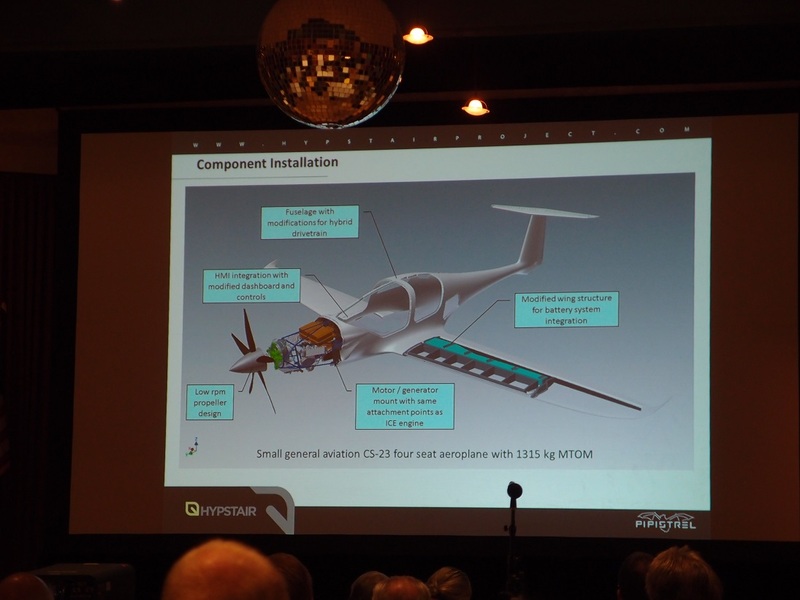 No hype, Pipistrel’s Hypstair (hipster) was introduced by Tine Tomazic and Gregor Veble at this year’s Electric Aircraft Symposium. The attempt to bring the world’s first certified hybrid aircraft to market is a joint venture by Pipistrel with partners Siemens, the University of Maribor, the University of Pisa and MB Vision, a specialist in providing visual information. Siemens, as might be imagined, is providing an “ultra-light weight integrated drive train” for the aircraft,” Slovenia’s University of Maribor the HIL (hardware in the loop) evaluation for electric motor control testing and dynamic emulation of mechanical loads, Italy’s University of Pisa for evaluation of hybrid technology advantages, and MB Vision for development and integration of the aircraft’s interior and human machine interfaces that will make the information presented to the pilot ideally selected and intuitively perceived. Far removed from the days when homebuilt aircraft advocates drew a chalk outline of the steel tubing they would weld together on the garage floor, the developing discipline of mechantronics stives to unite mechanical, electrical, telecommunications, control and computer engineering to produce integrated products that function at high levels. 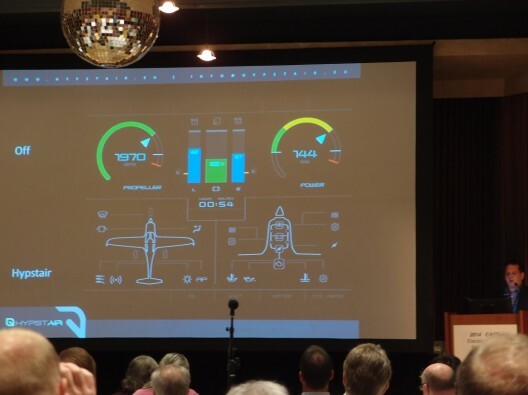 Such an approach will lead to aircraft that perform at the best possible levels, and a piloting experience intended to meld the pilot and the airplane in a thoroughly new and different way. 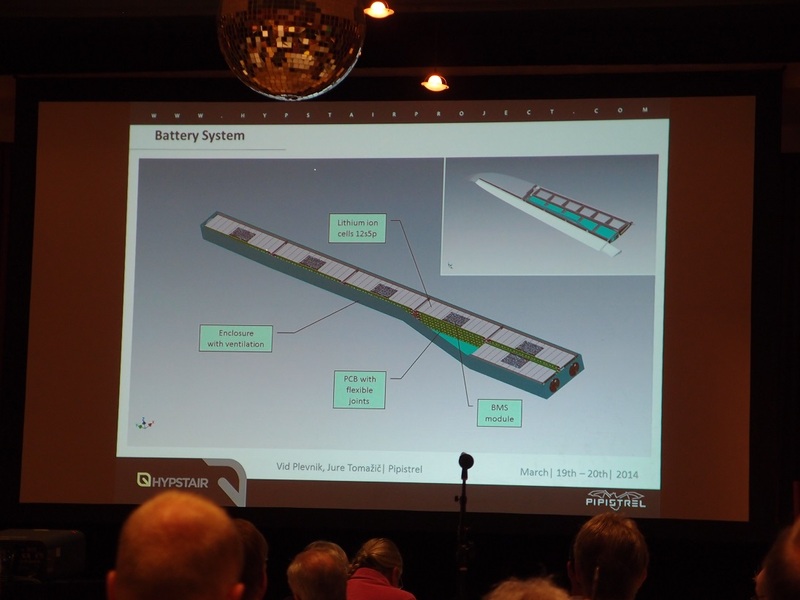 Tine and Gregor focused on the hybrid propulsion system for Hypstair, a serial hybrid drive that would lead to much quieter aircraft with greater fuel efficiency. Hypstair will allow validation of components, many already integrated into the airframe. The power system will swing a low-RPM, five-bladed propeller, ensuring low noise. To make sure the internal combustion engine, electric motor, controller and batteries stay within safe operating ranges, the sleek cowling has three openings, each tuned to its respective need. A dedicated battery management system (BMS) will actively balance cells in the battery pack, maintaining optimum performance at all times. Color and perception play a big part in the visual ergonomics and pilot recognition of different situations, both safe and of concern. Good design here can add to the safety of operation and lower the pilot’s workload. Hard-to-read avionics can increase the workload, lead to high cognitive stress, and even a hostile cockpit environment. Tine is working to replace the glut of text and numbers in displays with standardized icons and to introduce a common layer of infographics. Couple the perceptual simplicity of the cockpit with true single-lever power control of the total power train with protections for the engine, motor and batteries, and the pilot can concentrate on flying the airplane. The position of the power handle will directly correspond to the airplane’s power output, an intuitive signal to the pilot. High power depends on the battery charge status, for instance, and the system will reduce the rate of power after a set time to reduce high discharge rates, although the pilot can enable overboost to overcome potentially dangerous situations. 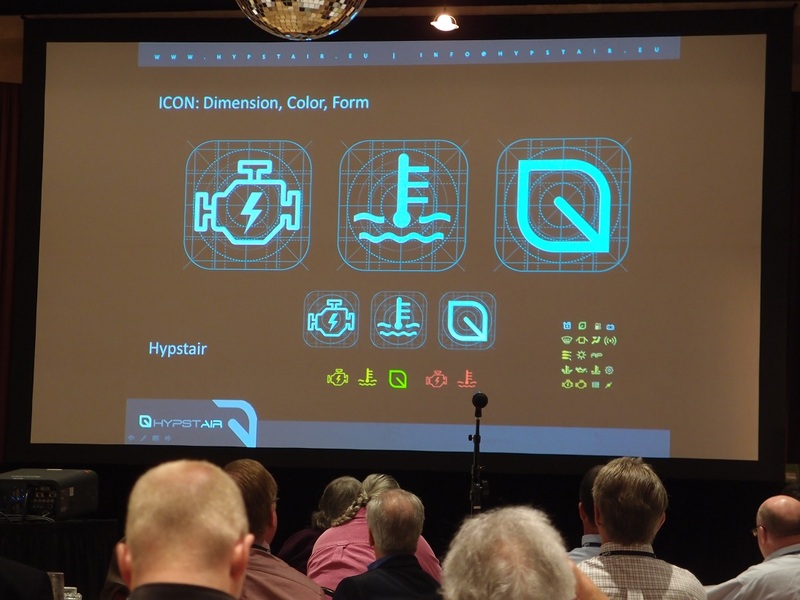 With significant advances in structure, powerplant design, ergonomics and human factors, the Hypstair will be more than just a speedy, great-looking airplane. It may mark the beginning of new ways of integrating the aircraft, pilot and systems into a new and unified whole.